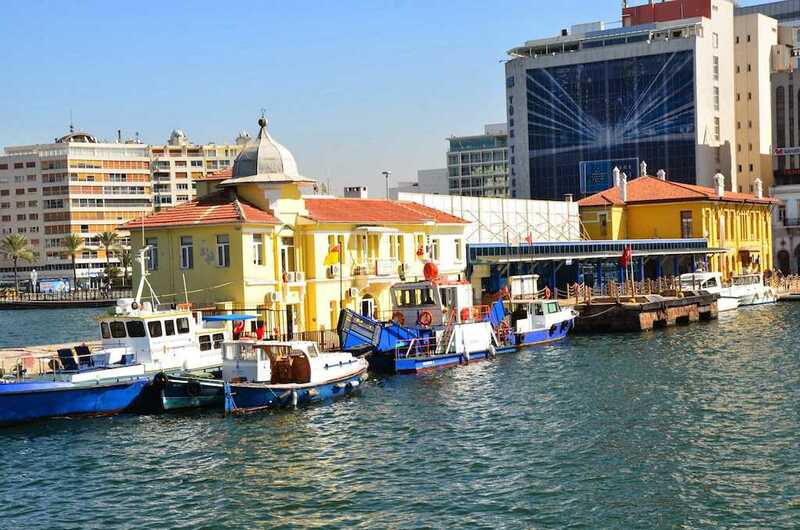 It is about 5-6kms sea front-coastline- beginning from Konak Pier to Alsancak train station that is called as Kordon, a seaside promenade like a cord, that is why it called as “ cordon “ by the inhabitants of Izmir. 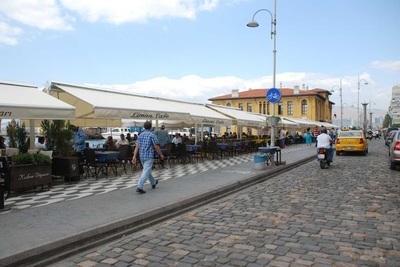 A large and long avanue chirping for poems and songs is always alive and colorful at any time of the day which is full of visitors who want to spend the time with joy and peace. 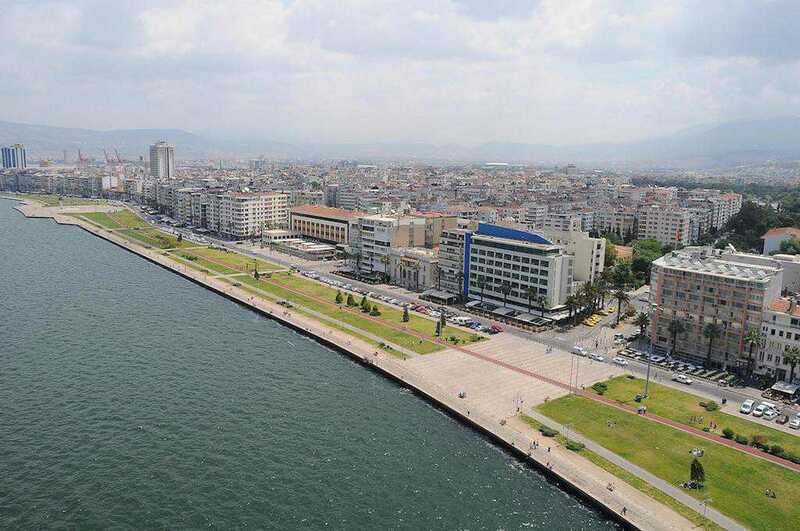 Kordon, the Promenade, is the place where it will add life to you with stunning view and the sea breeze blowing. 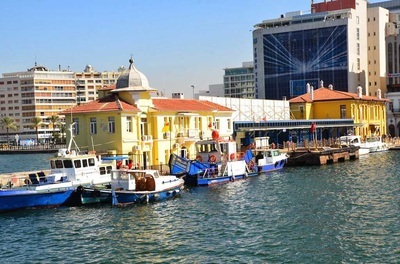 It covers a long and a large area respectively goes from Passport pier-through to Gundogdu Square , Republic Square and it is ended in Alsancak port. Izmir international fair is near to the end of the promanede. 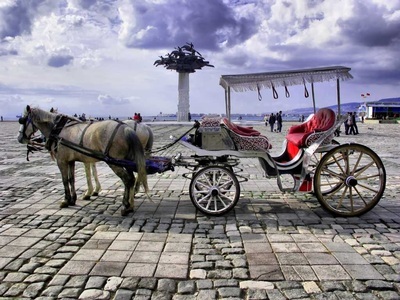 It is strongly recommended to watch the sunset especially to the lovers, for those who are seeking peace or those who can easily fall in love. 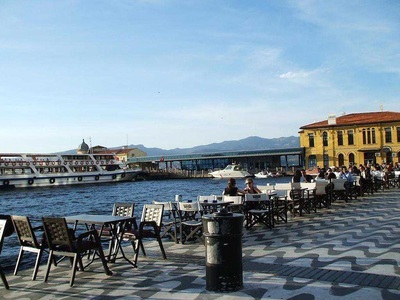 The promenade is also one of the icons of Izmir. 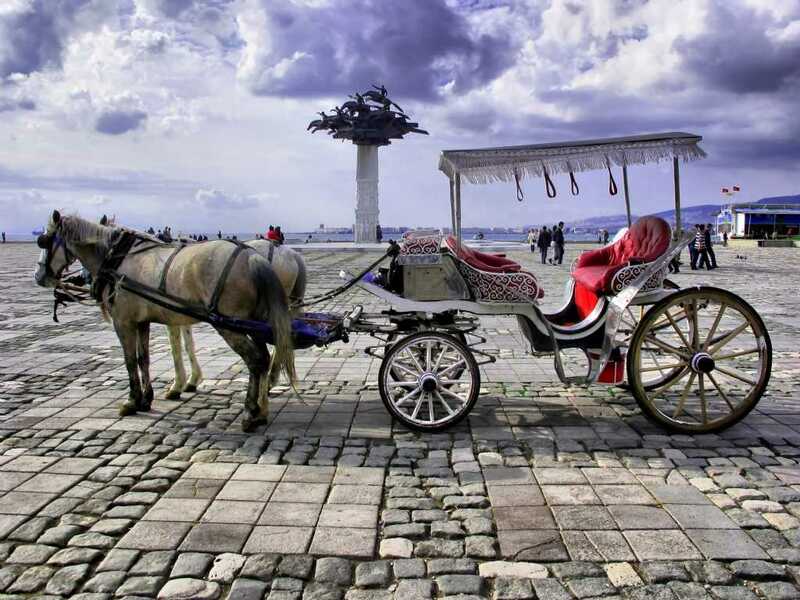 Walking along the long road hands in hands, drinking beer or famous Turkish coffee in a Street cafe before the sunset, sitting on a bench with soaking up the smell of the sea, watching the vessels incoming or going out, relaxing in peace with breath-taking panaroma and having a short journey in a traditional cart driven by the horses can be options to be done. The promenade is so beutiful at night that a boat trip on the bay of Izmir takes you in the depth of romance. 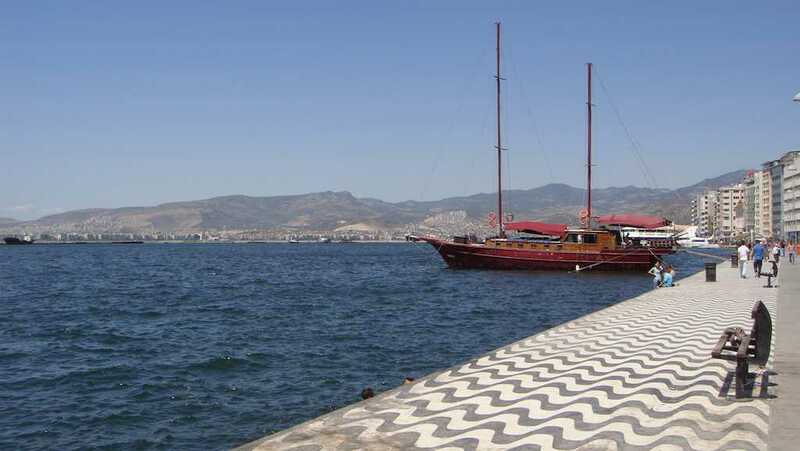 Make sure it can be an unforgottable moment of your Izmir trip.